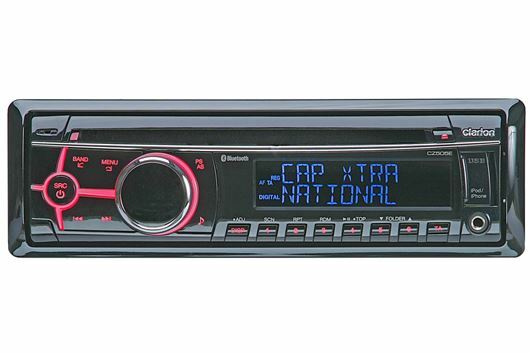 Clarion has added a new DAB ready car audio head unit to its range. The CZ505E uses a standard-sized single DIN slot and features most of the modern features buyers need to bring an older car up-to-date. DAB is standard with automated switching between FM and DAB signals to help prevent dropouts. There is also iPod and iPhone connectivity, a USB input and an auxiliary input, along with Bluetooth for streaming audio or making and receiving calls. The CZ505E also has a traditional CD player. There are 4x45W outputs for existing or new speakers, plus there are 4 RCA connections for connecting to an external amplifier and subwoofer. The RRP for the CX505E is £169.